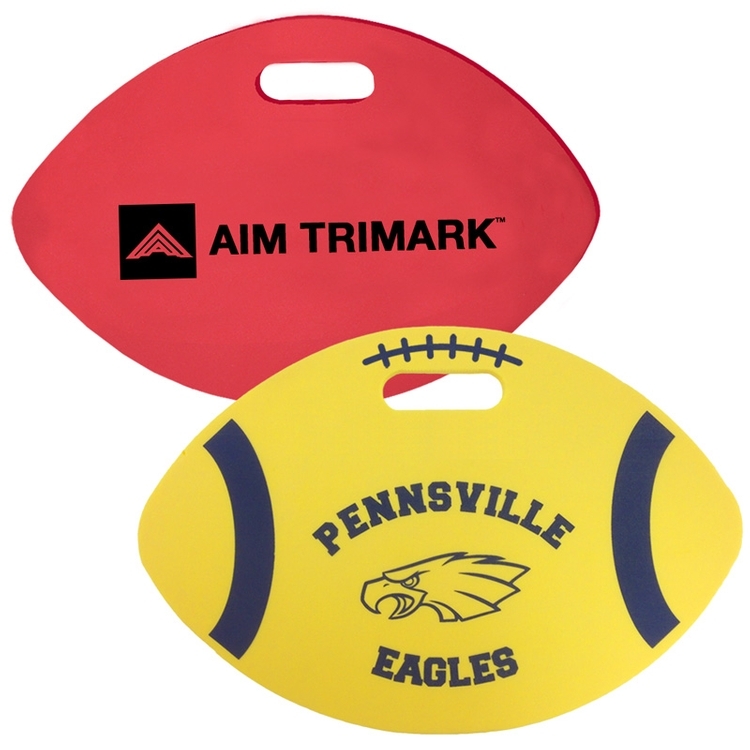 18" Football Weatherproof Cushion 3/8"
Make your next promotional play a sporty one with this comfortable, fun, weatherproof medium density EVA foam football seat cushion. Made of single layer 3/8” foam, this soft support provides the right comfort and protection from both the heat and cold of aluminum seating. And if you’re not sitting on this silk screened giveaway item, pick it up by the handle and use it as a waver to support your alma mater. Go team! 18" x 12" x 3/8"…..Imprint Area: 10.5" x 7"